Over the weekend, in a hotly contested Waratahs v Hurricanes match, a ‘Tahs player was binned for a swinging arm that made contact to a player’s head. Notoriously one-eyed announcer Phil Kearns, and many ‘Tahs fans, felt it “harsh”. You can see the clip here: [link] You can hear the captain say he was going for the ball, and I bet he was, but I also think players have to be aware of what their actions could do and be prepared to face the consequences. Speaking technically, coming in as he did, Potgieter wasn’t as likely to dislodge the ball as he might have if he came from behind and tried to punch the ball forward rather than back into his chest. There’s not a lot of time to adjust in such circumstances, but these are the risks players take. A lot of have said that penalising players for things like this is “harsh” and “spoils the contest” when a player is sent off. But I say let’s go harsh to get players to be more responsible in contact! If that means players will be binned, or players will pull up and miss a tackle to avoid a potential card, then so be it. Player recklessness, if not willing disregard for the laws, is what spoils a fair and even contest. Since I started rugby, referee leniency, materiality and treating the outcome rather than the act (‘didn’t knock him out, so connecting to the head is no problem’) has caused certain aspects of the game, like the ruck, to be a mess. Players always test the boundaries, and referees let it go because they don’t want to ‘spoil the contest’ and take a lashing from the fans, one or both sides, and the press. Well I contend that players are the ones spoiling the contest in that regard by willingly playing outside of the laws. I ask my players to play tough and to dominate the contact area, but through controlled aggression and within the laws, not to mention the positive spirit of the game where we NEVER go out to hurt the opposition. I’m not calling for rugby to go the way of basketball, where a slap on the wrist gets you a foul and six means you’re out of the game, or hockey were teams are down a man for short periods all game. Rugby people get uppity stressing that our sport has not just “rules, but “laws”, and lawmakers have done well to clean up the game in the last decade with things like stomping, mountaineering, tip tackles, etc. being all but gone. Just a couple of weeks ago, a World Rugby directive stressed that contact with the head must strictly be policed. If teams don’t adjust and actually play to the laws, then they face the consequences. To me, any sort of calls for this stuff to be allowed makes those people no better than Rugby League fans who were crying because shoulder charges and head-highs were banned a few years ago. Rugby’s an amazing game without acts that can cause serious injury. Rugby’s under a massive spotlight now, and whether you care or not about seeing it grow, concussions and sub-concussive blows are going to see many players end up like NFL and NHL vets. Whatever steps we can take to make that less likely, the better, I say. Wanna see some alternative try-saving techniques? A Lesson From Video Games? I read a great article a few months ago examining how video games can teach us lessons about how Generation Y learns and why they find them so engaging. Today, this topic has come up again but this time from the cantankerous old man angle, thinking they’ll be the death of sport. I definitely side with the first article, as it’s apparent that video games do have a hold over a good many kids. Sports are still fun to play, but when you look at the reasons why video games are so engaging, I think there are some stark lessons which should cause us all to think about how we present the whole sporting experience. If kids are quitting sports in favour of sitting in front of the TV / computer to play games, then it’s our fault as finally something has usurped coaches who make participation boring! I believe even many of those who continue to participate only go to training as it guarantees a chance to play in the actual game. So what can we learn from video games? They’re more engaging and allow more freedom than your average sport training session, which is full of boring drills and game-play overly influenced by the coach. In video games, trial and error is fine, going completely off-script to explore for ‘Easter eggs’ is encouraged, players are free to learn on their own or collaborate with other players. How often do sports coaches allow failure to go unpunished, allow athletes freedom to discover their own abilities, or work out their own solutions rather than being fed the coach-approved ways to attack and defend? I’ve started likening typical sports training sessions to video game tutorials – you know, that thing at the start of some games where you can learn how to move and play guided by on-screen pop-ups and set scenarios. Who ever does those?!?! By the end of the week, I’ll have been involved in three rather large sevens tournaments for Middle School (approx. 11-14 year old) students on Vancouver Island and the Lower Mainland of British Columbia. Sevens is relatively new to schools rugby around here, but with it’s recent admission to the Summer Olympics in 2016, I gather that the time was right to make the switch. Some conversations I’ve had over the past few days, and going back to the start of the season, has altered my thinking somewhat with regard to how sevens can possibly take rugby one more step forward in this country. I’m still a bit sceptical and worried that a full change could come because I fear the shortened code could take over university and even high school rugby, which would be a shame, because I still believe fifteens should be the main focus for our country. It will always be the high profile sport and we should aim to remain part of that club even though Canada’s relative competitive status has slipped in the last decade and a half since professionalism was made official. But as a development vehicle – a way to introduce rugby to youngsters and smaller schools / communities – sevens is the PERFECT way to grow the game. The other negative comment was how it limited one coach’s preference to play a forwards’ game. The cynic in me immediately shot back saying that’s a major problem with Canadian rugby now that we need to over-come – too forwards-oriented, without the basic skills and vision across all players to compete with other nations. There’s no hiding in sevens. Everyone’s got to tackle and ruck. Everyone’s got to pass and run the ball in space. But I do think there’s an opportunity on the smaller fields to play such a game, if one so desired. … but I still have to think ‘why’??? Rugby’s such an amazing game to watch when people are running in space and the ball is being tossed about. Even for those who like the biffo, there are still individual battles to be fought and even the close-quarter, up-the-guts battles should teams spread themselves too thinly on defence and allow a couple of the bigger lads to have an old fashioned Northern Hemisphere style rumble. 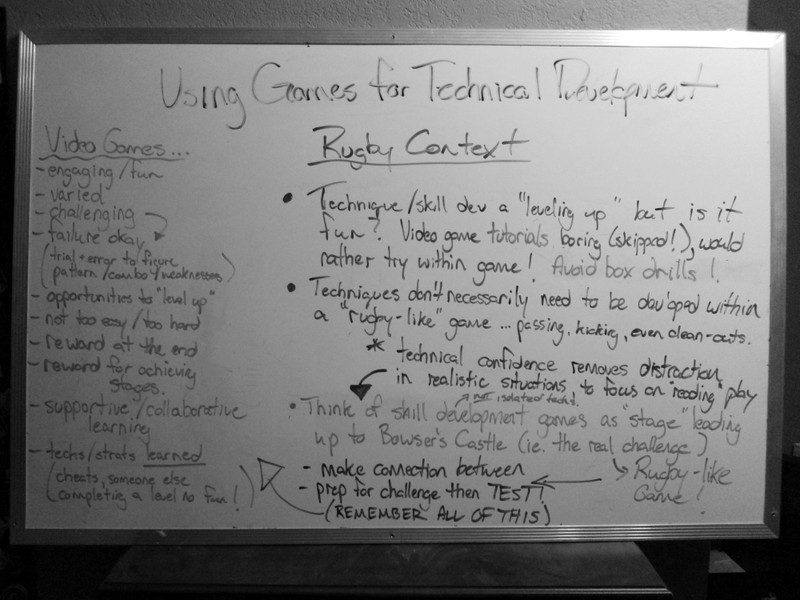 In short, smaller field sevens for middle school aged kids is perfect to practice any style of rugby in a microcosm. In this microcosm, fewer players means getting involved to a greater degree in both attack and defence, allowing kids a greater opportunity to become better at both! 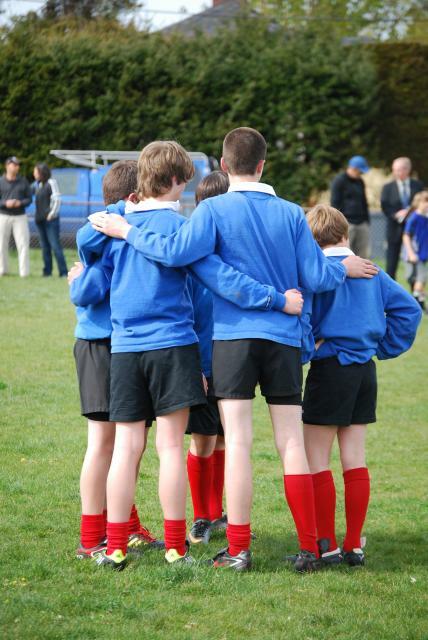 What I also like about how Middle School rugby is run on Vancouver Island has to do with the spirit of the game, encouraging more kids to play. First off, girls are allowed. Despite contact, it’s not a big issue for pre- / early- teens whose growth spurts are all over the place (often in favour of girls until about 13/14! ), so why not? Girls that start that young, in my experience as a women’s coach, are always great later in life. Related to that, playing levels are weight-graded so that the bigger kids cannot dominate and smaller kids are not on the receiving end. Some might argue that this is bad for the big kid who has to play up a grade (in some cases where a Gr. 8 is too heavy and hasn’t a connection to a high school to play with Gr. 9s) or cannot, but I don’t think it’s as a cruel thing as some would make it out to be. In some cases these players still play alongside their team mates, but with a yellow bib indicating they are ‘touch only’ players. Either way, it forces the ‘big’ kids to use not their bulk and power, but actually focus on the skills and vision all the other kids have to acquire and develop. We’ve all probably seen kids like this before – ones who dominate because of size at a lower level who have wasted years not acquiring any abilities because they didn’t need to and end up being poor teenage / adult players. With weight grading, a level playing field is presented that’s good for all. The final spirit-of-the-game bonus of adopting sevens relates to the growth of rugby on the whole and accessibility. Instead of having to field a full side of 15 (or 11 as some do on the mainland), sevens allows schools with just 10 interested / able kids – and even less in some cases! – to field teams. 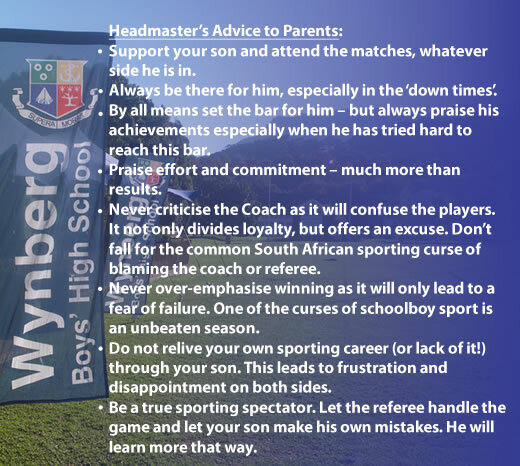 While maybe only one or two might end up sticking with rugby into their teenage years, there’s nothing wrong with growing the game one or two players at a time! In such cases, sevens allows even the one kid who’s really interested in the game has a better chance of playing as it’s not so hard to get those few kids together, even if the others aren’t that into the sport. When trying to get a full fifteen together, for a brand of rugby that requires more subs given the extra time and contact, many schools simply wouldn’t be able to adopt rugby at all. For those schools which do have quite a lot of interest, sevens allows them to field two or even three sides, so that every kid gets a chance at significant game time. By grouping together A, B (and C!) teams, kids at various levels of ability also get the opportunity to enjoy the game with less likelihood of getting smashed or utterly dominating – ensuring that each gets a fair chance to work on skills and truly enjoy the experience. In conclusion, I think adopting sevens rugby (contact OR touch) is a great way to grow the game at the crucial grass roots level in Canada, and especially for the pre-teen age group. I hope this recent increase in awareness and a move to include more kids continues to grow so that we can show that this is truly a wonderful sport for all.